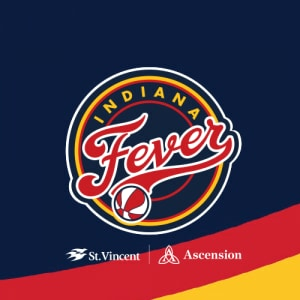 Fever rookie Erica McCall is just about a fourth of the way through her debut season with Indiana. She’s played in seven of the team’s eight games, averaging 1.7 points and 2 rebounds in 9.4 minutes per game so far this season. FeverBasketball.com’s Ben Boynton caught up with McCall to learn what the transition from Stanford has been like and what she’s learned so far. You’re almost a quarter of the way through your first season; how’s it been so far? It’s been exciting. It’s all been a journey and a process and each day I learn something new. I feel like a freshman all over again, but I’m enjoying every moment of it. 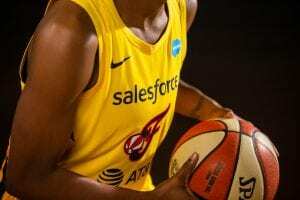 What’s it been like going from Stanford in California and the West Coast to the Fever, here in Indianapolis and the Midwest? It’s been a really fun transition, and my teammates have made it a lot easier than I expected it would be. The weather is completely terrible when you compare it to California, but I love the scenery and the people in Indiana. They’re all very kind, and my teammates have also just really helped make it a smooth transition. 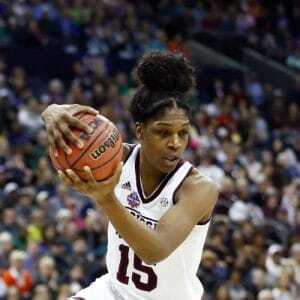 Your sister DeWanna Bonner plays for the Phoenix Mercury. What advice has she given you about the WNBA game and what to expect as a pro? She told me to just have fun, play hard, and do what I always have done. She knows that things will come to me, and she’s been really encouraging of me throughout this whole process. It’s really fun having her around as support. Has anyone on the team really stood out as far as helping you adjust? Candice [Dupree]. 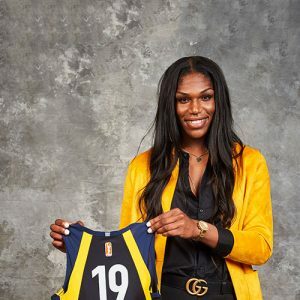 She’s really helped me in every aspect that I could ask for, and she’s been like another big sister to me, maybe because she’s my sister-in-law [Dupree married her former teammate Bonner in November 2016.] She’s truly helped me, she’s really encouraged me, and my favorite part of the day is when we get to take shots together. It’s really helpful having her around. What do you think has been your biggest strength so far in the league? I would have to say bringing my energy every game. That’s really what I wanted to do coming in from college. I wanted to be a very energetic player, and I think I’ve kept that energy up so far. What would you like to improve the most about your game? I’ve been working on a lot of different skills as a post player. Probably the biggest thing I’ve been working on is getting better at reading defenses. It’s the biggest difference between college and the WNBA game. In college, they give you a set of plays and tell you where to go, but out here you just have to learn how to read the defense and make plays. Your nickname is “Bird”, and I have to ask, how did that come about? Well my freshman year at Stanford, there was another Erica. My last name is McCall, kind of like a bird call, so that’s just what people started calling me. You have a lot of season left, what are you looking for as you continue your rookie year? I’m looking forward to the growth of the whole team and my own personal growth. Each game is a new challenge, and I’m looking forward to facing those challenges, playing with this team, and winning more games. Media Day Q & A: Erica McCall took a turn in the hot seat to answer a few rapid-fire questions. Highlights of Erica McCall from her senior season at Stanford University.